In an op-ed published Monday, the New York Times criticized President Donald Trump's record on LGBT rights. 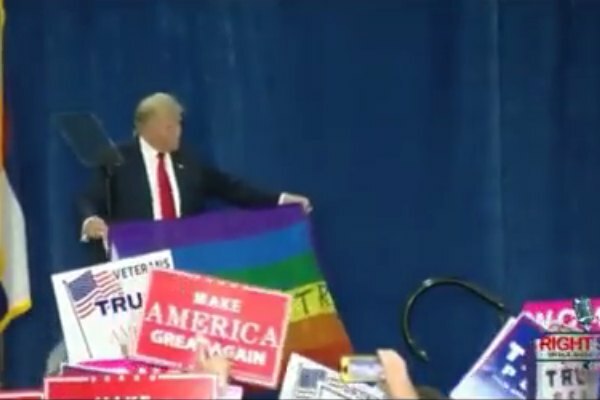 That Trump was out of step with the Republican Party on issues related to the LGBT community was a popular talking point during the campaign for LGBT Republicans, many of whom said that Trump would advance the gains made during the Obama era. “Yet, the nomination of several key officials, who have disparaged the LGBT community and sought to curtail the rights of its members, has exposed the narrative that Mr. Trump would be a champion of gay and transgender people as a fallacy,” the Times wrote. In making its case, the editorial board cited Attorney General Jeff Sessions' decision to withdraw guidance issued to public schools protecting transgender students and the anti-LGBT views of Secretary of Health and Human Services Tom Price and Mark Green, Trump's pick to replace Eric Fanning, an openly gay man, as secretary of the Army. “It's not too late, of course, for Mr. Trump to act like the transformational Republican on gay rights that some of his supporters hoped he would be. He could, for instance, urge Congress to pass a federal anti-discrimination bill. Yet his record of empty talk makes that seem as unlikely as the sight of a Republican presidential presidential candidate waving a gay pride flag,” the editors concluded.